International Extradition Lawyers - How to Fight Extradition to or from U.S.
lawyers can fight extradition requests. Over the past twenty years, our firm has assisted many clients who need experienced international extradition lawyers to fight international extradition requests to and from the United States. For clients facing extradition from the United States, our attorneys will negotiate the extradition request with the appropriate officials in both the Department of Justice and the State Department. If the client is arrested on a criminal complaint or provisional arrest warrant, we immediately work to obtain an extradition bond for our client so they can be released before the extradition hearing. At the extradition hearing, we can challenge the government’s evidence supporting the extradition request and, in some cases, present our own evidence to rebut the allegations. For clients facing extradition to the United States, our representation includes advising and consulting with the client and his or her lawyers who are assisting the client fight extradition from the foreign country. In some cases, we can assist the client in arranging a reasonable bond or voluntary surrender by convincing authorities in the United States to lift the extradition request. Of course, we also help the client fight the underlying criminal charges in the United States if the extradition is ultimately successful. Extradition is a process where one country requests the assistance of another country in arresting and returning a person who is facing criminal charges in the first country, but is now thought to be living in the second country. Extradition requests are generally authorized by extradition treaties between the two countries. If there is no extradition treaty between the two countries, the countries can still agree to assist each other depending on the circumstances of the particular case and any relevant political considerations. What is an Extradition Treaty? An extradition treaty is a formal agreement between two countries that authorizes the governments of the two countries to assist each other in arresting and returning people facing criminal charges in the other country. An extradition treaty will generally set forth the requirements and procedures for making an extradition request and any limitations negotiated by the countries. The United States has extradition treaties with many different countries. Almost all of these extradition treaties are based on the legal standard of “dual criminality.” “Dual criminality” means that a person will not be extradited from one country to the other unless the crime that that person is accused of committing is also a crime in the country where the person is found. The name of the offense doesn’t have to be the same, but the alleged conduct involved in the case must be a criminal violation of the law of both countries. Almost all extradition treaties also have a provision that recognizes the doctrine of “Specialty.” “Specialty” means that a person who is extradited may not be prosecuted for any crimes that were not specifically mentioned in the extradition request. Many extradition treaties have other provisions that limit extradition in certain cases. Generally, extradition treaties prohibit extradition if the alleged crime is considered a “political offense” by the requested country’s government. Several countries have also negotiated a clause in their extradition treaties with the United States that limits extradition back to the United States when the person may face the death penalty or extreme conditions of confinement that may violate basic human rights. Based on this provision, some countries have refused to extradite people back to the United States unless the United States government has guaranteed that the person will not be subject to the death penalty. In a few recent cases, European countries have denied or limited extradition requests from the United States due to concerns over solitary confinement and other prison conditions that may violate international human rights standards. How can international extradition lawyers help? Experienced international extradition lawyers know that the first step in fighting an extradition request is to obtain a copy of the relevant treaty between the two countries and review it for the specific requirements. An experienced extradition attorney will make sure that the alleged criminal conduct is actually covered by the treaty and that the requesting country has complied with all legal formalities in making the extradition request. A skilled international extradition attorney can also convince the judge at the extradition hearing that there is not sufficient “probable cause” that the person being sought actually committed a crime. Generally, the government will attempt to establish probable cause by using affidavits from witnesses without requiring the witness to actually appear in court. A person who is fighting an extradition request has a right to present their own evidence and may testify at the hearing. In cases where the accusations are unreliable, or where there is evidence of an alibi, judges have refused to honor extradition requests and have dismissed the complaint and arrest warrant. If a person is not successful at the extradition hearing, an experienced extradition attorney may still successfully petition the State Department to refuse extradition based on political or human rights concerns. At the very least, the State Department may be willing to place limitations and conditions on the extradition so that the person being extradited has some legal protections that they may not otherwise be entitled to in the foreign country. Because international extradition is a complex process, you should seek assistance from an experienced international extradition attorney. For over twenty years our firm has helped many clients fight extradition both to and from the United States. 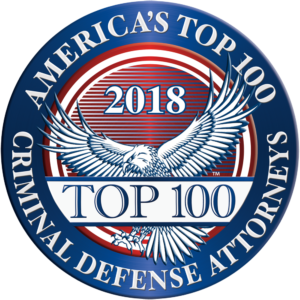 Although we are based in Atlanta, our lawyers have helped people fight extradition in federal courts across the United States and in several other countries. If you or someone you know is currently facing extradition, give us a call and we will let you know if we can help.